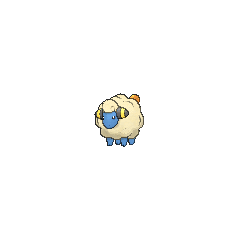 Mareep in game: 7,667 Who? Important notice! Pokemon Mareep is a fictional character of humans. Mareep made its anime debut in Mild 'n Wooly, in which a flock is shepherded by a young girl named Mary and her mother. Mary had her own Mareep called "Fluffy." A Mareep was owned by Katie in A Chip Off the Old Brock. A herd of ten Mareep appeared in The Light of Floccesy Ranch!, under the ownership of Ellie. Another Mareep appeared under the ownership of one of the Trainers at the Pokémon Swap Meet in Tricks of the Trade. A Mareep was owned by Dr. Anna in Hassle in the Castle. A Mareep briefly appeared in Imitation Confrontation under the ownership of an unnamed Trainer. Multiple Mareep appeared in Houndoom's Special Delivery where they belonged to a farmer. Several Mareep were among the Electric Pokémon that were lured by the "Miracle Crystal" that Attila and Hun were using in The Legend of Thunder!. Several Mareep appeared in Misty's flashback in Gotta Catch Ya Later!. A Mareep appeared in the opening of Lucario and the Mystery of Mew. 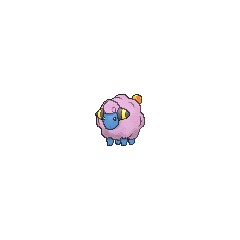 A Mareep appeared in Pruning a Passel of Pals! Another Mareep appeared in Sticking With Who You Know!. Multiple Mareep appeared in Team Eevee and the Pokémon Rescue Squad! where they were in a ranch in Virgil's house. Four Mareep appeared in The Future Is Now, Thanks to Determination!. Multiple Mareep appeared in Dream a Little Dream from Me! in a dream. EP139 Mareep Ash's Pokédex Mareep, the Wool Pokémon. 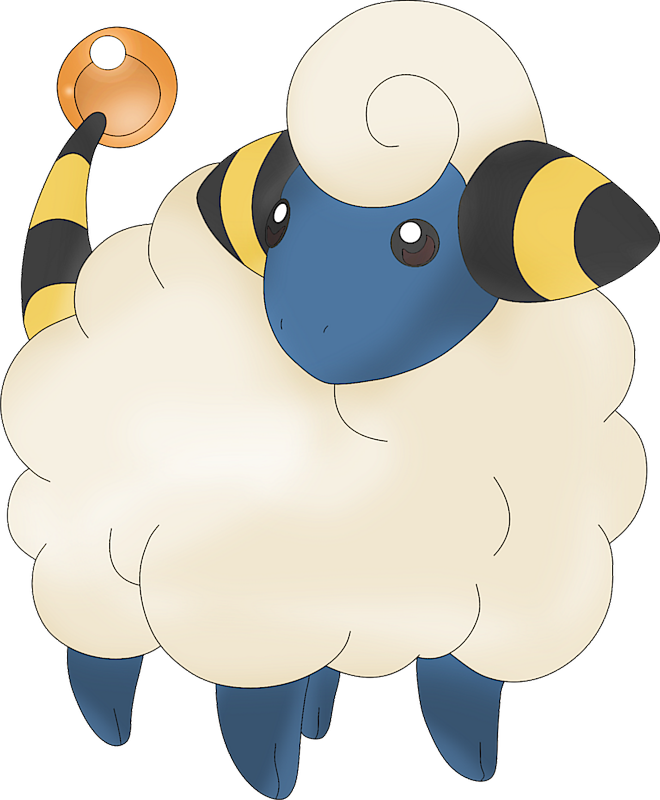 Mareep stores static electricity in their wooly coat. They avoid battle and have mild dispositions. 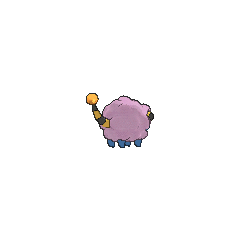 Mareep debuted in Slugging It Out With Slugma where it is seen as one of the Pokémon at Earl's Pokémon Academy in Violet City. Mareep appears as one of the Pokémon sent to help the fight in Ilex Forest in The Last Battle XIII. In Pangoro Poses a Problem multiple Mareep were among the Electric-type Pokémon that charges the Prism Tower during a blackout. Mareep is the slowest Electric-type Pokémon. 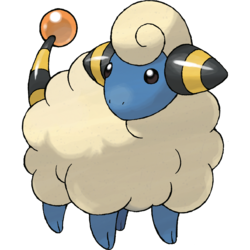 Mareep appears to be simply based on the lamb of a sheep. It is likely that its electric aspect and Ability comes from how wool builds up static charges and may also be based on the golden fleece in Greek and Roman mythology. It, and its evolutions, may also have been based on the title of the science fiction novel Do Androids Dream of Electric Sheep?.